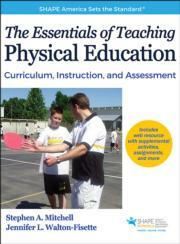 The presentation package for The Essentials of Teaching Physical Education includes over 240 slides of key concepts, figures, forms, and tables from the textbook. These slides can be used directly in PowerPoint or printed to make transparencies or classroom handouts. Instructors can easily add, modify, and rearrange the order of slides. The presentation package is free to course adopters and available at www.HumanKinetics.com/TheEssentialsOfTeachingPhysicalEducation1E. For use outside of a college or university course, this presentation package may be purchased by clicking on the Add to Cart button near the top of this page and proceeding through checkout. Once your order is complete, you can immediately access the presentation package at www.HumanKinetics.com/TheEssentialsOfTeachingPhysicalEducation1E.